air conditioner solutions for every kind of situation and need. 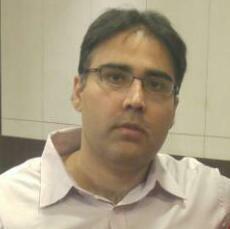 Hey everyone, I am Vivek and I have been dealing in air conditioners over the past 10 years. During this period I sold air conditioners, got them installed, got them serviced and repaired and done all kind of work related to them. I have dealt in almost all the brands and in all kinds of air conditioners in this time. You probably won’t call me inexperienced now but once I had started with very basic knowledge. The reason I have created this site was to help folks like you making the right decision while buying the new air conditioner. To do this I am going to share all my personal experience with you and what I have discovered over the years through my own learning. I also tell that if you ever find anything that captures your interest on my site about the technology or basic principles of air conditioning or anything interesting about air conditioning you want to share you are most welcome. I love feedback from everyone. I wish you all the best with your air conditioning decisions and thank you for stopping by!